Sign up and receive Property Email Alerts of Apartments to let in Claremont, Cape Town. Just a block away from Cavendish Square, this superb 2 bedroomed apartment is tastefully furnished and well equipped. The well-fitted kitchen is open plan to the living room, flowing on to a sundrenched terrace with pool, braai, loungers and wonderful mountain views. There is a study/TV nook, 2 double bedrooms, bathrooms and 2 underground parking bays. The apartment is serviced twice a week and there is uncapped WiFi and DSTV. 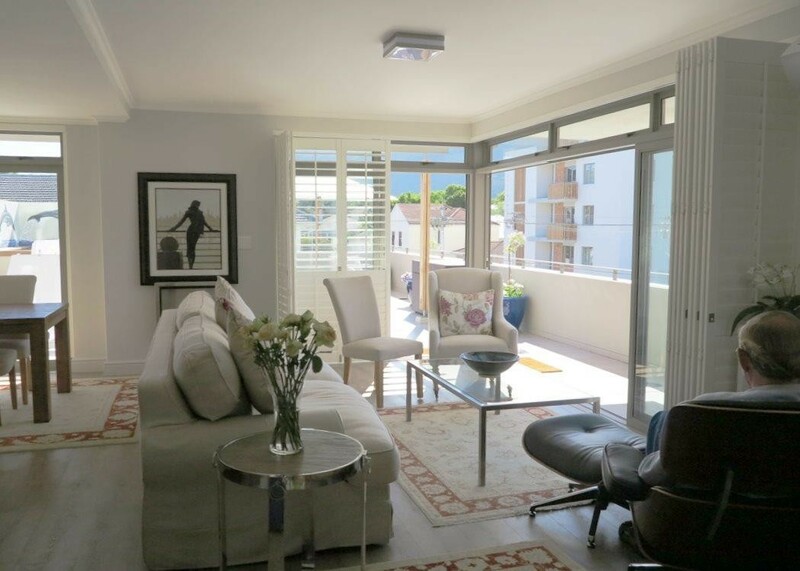 Sign-up and receive Property Email Alerts of Apartments to let in Claremont, Cape Town.